The Comprehensive Economic and Trade Agreement (CETA) has hit a somewhat familiar bump towards ratification thanks to Italy. 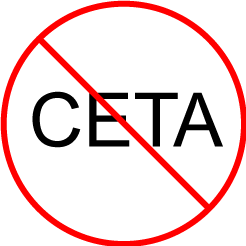 For the longest time, the trade agreement CETA seemed like a forgone conclusion. In 2016, the major hurdle at the time was that Wallonia would block the entire trade agreement due to concerns about the details of the agreement. In October, the region folded under pressure and allowed the agreement to move ahead. In 2017, the Canadian government said that the provisions would “mostly” kick in by July 1. At the time there were a number of concerns surrounding the agreement. A number of them revolve around digital related issues. In 2015, we performed our own independent audit of the actual text of the agreement. Among the findings, there were concerns surrounding a three strikes law, site blocking/censorship, anti-circumvention laws, seizing personal property at the border without a warrant for the purpose of enforcing copyright laws, and ISP liability. Of course, the question is, between 2015 and now, what happened to these provisions? In 2016, the Canadian government tabled their CETA implementation bill. We were unable to locate any of the provisions in the text of CETA in the implementation bill. The only thing that we saw was that Canada would participate in the notorious ISDS (Inter-State Dispute Settlement) system. As a result, corporations suing the Canadian government for not implementing the most draconian copyright provisions. Idea’s like three strikes laws, account termination, and site blocking have long been proven to be policy failures with countries scrambling to remove them from the law books after they have been proven to be disastrous. Of course, while this is Canada’s side of things, that doesn’t necessarily mean that other countries won’t implement these particular provisions. We currently are unaware of the state of implementation of these laws in other countries as it relates to CETA. With all of this happening, you’d think that this story would likely be dead at this point. Not so. So, it seems that this story has once again grown legs. The fresh drama puts into question if this agreement can survive even after all that it has gone through. The fact that at least one country isn’t implementing the digital provisions does tame the drama somewhat, but this latest development shows that the CETA story is, amazingly, still not over yet.